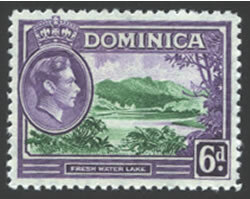 The King George VI stamps of Dominica include two sets, we will focus on the first set which was printed by Waterlow & Sons. 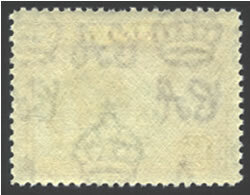 A 1/4d value was added to the set in 1940 and was produced by Harrison and Sons. This article deals only with the Waterlow printings. 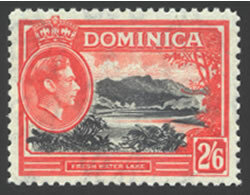 The Waterlow sets tend not to be as popular with collectors as the De La Rue sets primarily because it is difficult to tell the printings from one another. 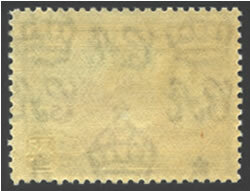 Generally speaking, the Waterlow sets tend to have been perforated 12-1/2 and other than color and gum differences, there is not much variation. 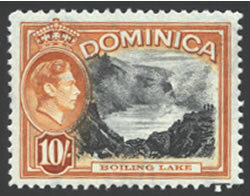 So if you want to identify the Dominica printings, you are going to have to compare colors and the look of the paper and gum. When comparing paper and gum to determine the approximate date of printing, I recommend using both black and white paper as a comparison. Rather than using natural light, I prefer twin spotlamps with 60 watt soft white bulbs which are mounted on opposite sides of my desk. This allows me to see the details fairly well. Also, when sorting stamps, it is preferable to obtain as many copies as possible. This will allow you to make a comparison and statistically give you enough samples that you are not looking at one printing. 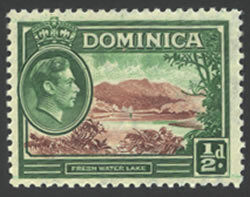 The scans shown below are from Dominica stamps that I have sorted. These descriptions are as seen from the back against black paper as compared to other printings of the same stamp. 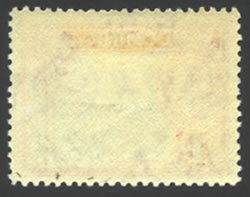 Ideally as you sort your stamps, you will be able to notice the broad variations in the paper and gum. Then use the details below to help determine the printings. You should expect to see the creamy color of the first printing, the off-white color of the 1944-1946 printings, and the brighter white of the later printings. Then sort based on the color descriptions and the visibility of the watermark. 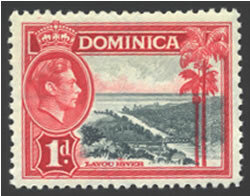 The 1942 printing is fairly scarce, so you may not find an example of it in your collection. 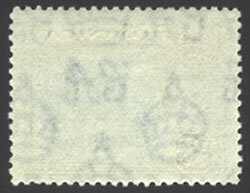 Tends to be on a thicker appearing paper (the black does not show through very well), with a transparent watermark. The gum is creamy and may have cracks in it. 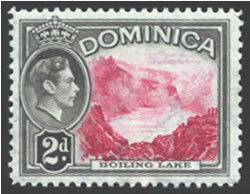 All the values except for 3-1/2d, 7d, 2/ and 10/ issues were printed in 1938. The gum tends to be whiter than 1938, but still creamier than later printings. 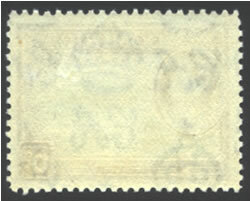 The paper still appears thick, and the watermark is less visible than the other printings. 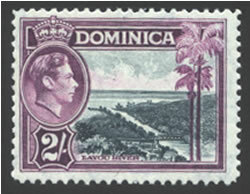 Only the 1/2d, 1d and 2-1/2d values were printed in 1942. The gum appears to be off-white. The paper appears thinner, you should see more of the black coming through the paper compared to the earlier printings. The watermark is very transparent. 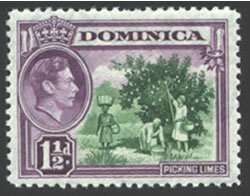 All the values except for 3-1/2d, 7d, 2/ and 10/ issues were printed in 1944. Very similar in color to the 1944 printings, but with a less visible watermark. The 1d, 1-1/2d, 2d, 2-1/2d, 3d, and 6d values were printed in 1945. 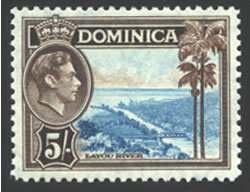 The 1/2d, 6d, and 1/ values were printed in 1946. Used for the 3-1/2d and 7d, so this is easily isolated since these were not reprinted. Notice the whiter color in this and the remaining printings. 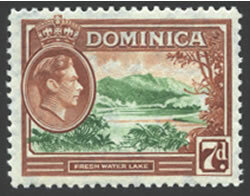 The 3-1/2d, 7d, 2/ and 1/0 values were printed in 1947. The gum is whiter and brighter than the earlier issues. The paper appears thinner than the 1938 and 1942 issues, but thicker than the 1944 and 1946 printings. 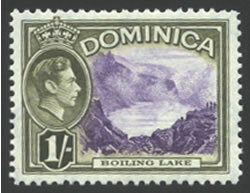 The watermark is less visible than the 1944 printings. 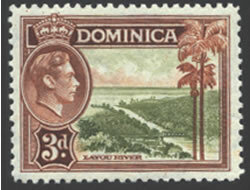 The 2-1/2d, 3d, and 6d values were printed in 1948. Very similar to the 1948 printings. 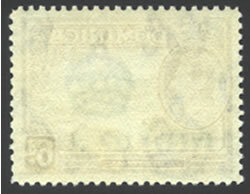 The 1d, 2d, 2-1/2d, 6d, 1/, 2/, 2/6, 5/ and 10/ values were printed in 1949. Similar to the 1948 and 1949 printings, but a little brighter. Only the 1d and 2d values were printed in 1951. 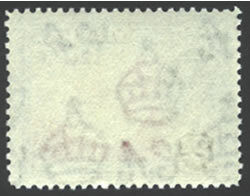 In addition to the gum and paper, we have some details indicating when these stamps were printed and the basic colors used in the printing. 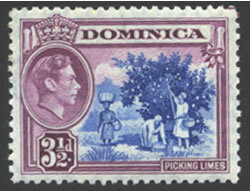 My information is based on the tables produced by Potter & Shelton in their book "The Printings of King George VI Colonial Stamps" which was printed in 1951 by Stamp Collecting Ltd. The table below was copied from this source which includes their comments about the colors and general comments about the paper and gum. 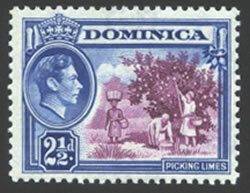 The Commonwealth and Gibbons numbers are only used for the printings listed. 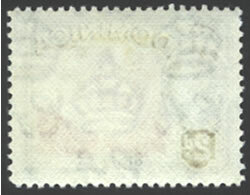 It is assumed that the first listing in each catalog is for the 1938 printing. The only dramatic shade difference is between the first printing of the 2-1/2d and the rest of the printings. 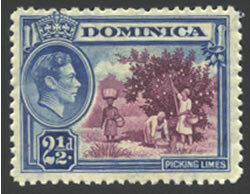 Look for the creamy gum of the 1938 printing, and the paler blue color compared to ultramarine for the rest of them. 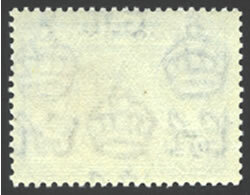 I hope this article helps you find out more about these stamps. Please feel free to contact us with any questions, or more information.